Here's a Christmas card I created for friends in far-flung places. I really like the color combination of bold Emerald Envy and soft, subtle Mint Macaron. 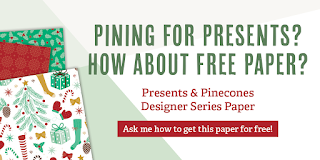 You can see how well these colors work together in the Presents & Pinecones Designer Series Paper. You may recognize the globe, it's from a stamp set in the annual catalog called Places You'll Go - #141741. I think this stamp set is easy to overlook in the annual catalog. The images are simple, but the sentiments are wonderful and work for a lot of occasions. Here are the details: The globe stand is stamped in Versamark and heat embossed with Copper Stampin' Emboss Powder. The wreath was stamped in Emerald Envy. I used my Real Red Stampin' Write Marker to add a few red berries around the wreath. The rest of the stamping was done with the Holly Berry Happiness stamp set. 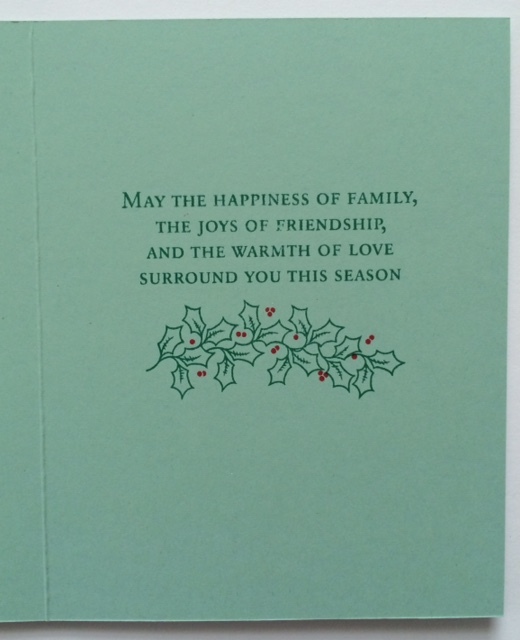 The bow and the holly berries were stamped in Early Espresso ink on Real Red cardstock. 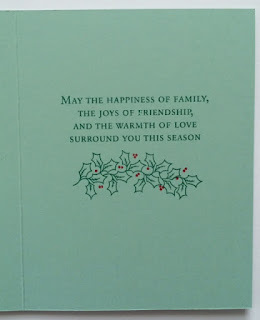 The holly leaves were stamped in Emerald Envy ink on Emerald Envy cardstock. Everything is punched with the Holly Berry Builder Punch. 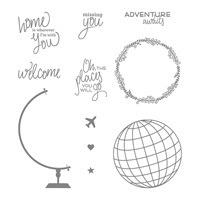 The stamp set & punch are available as a bundle - #143505. The card base is made from Mint Macaron cardstock and the Designer Paper is Presents & Pinecones. Don't forget to stock up on Designer Papers for this and other projects, the best paper sale of the year is going on NOW! Buy 3, get 1 free on selected designs including Presents & Pinecones. Click here to shop in my online store. thanks for sharing such a nice blog this Christmas wishes 2016 helps to make the smile on our loved one faces. Thank you for your kind comment, Nayra!